Give Food a Chance is a book for parents and caregivers of children and teens with eating disorders. In it Julie O'Toole describes how children and their parents are treated at the Kartini Clinic. 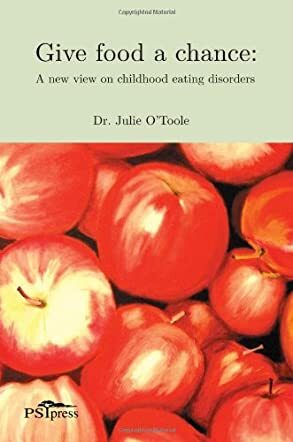 Ms. O’Toole seems well educated; she has fully researched eating disorders of children and teens and shares a wealth of information on the subject. She discusses in detail what she believes are the causes of the disorders and the treatments needed to help the patients. I like that she includes the families to help support the patients and that she doesn’t blame the child or the parent for the disorder. I feel this would relieve the parent and patient from a lot of stress and guilt they may be carrying and help them to find the real cause of their problem. I found the clinic’s way of dealing with these patients interesting though they take a different approach than most doctors and clinics dealing with these same issues. Ms. O’Toole discusses these issues with a different view as well. These disorders have been treated the clinic’s way for over a decade and have proven to be reliable treatments. If you struggle with these issues, or you know someone struggling with any eating disorder, I recommend you find this book to help you better understand what is happening and the options you have for help. This book will answer many of your questions, and the way the chapters and sections are broken down, the information is easy to find.